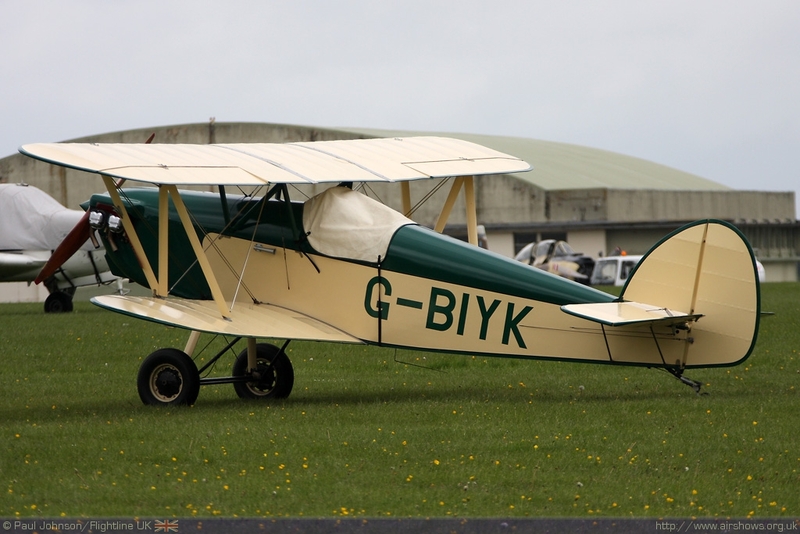 The weather was not kind to Cotswold Airport for it's first major aviation event of the year. Cold temperatures, strong winds and rain plagued the southern half of the UK for much of Saturday while Sunday saw slightly better conditions. 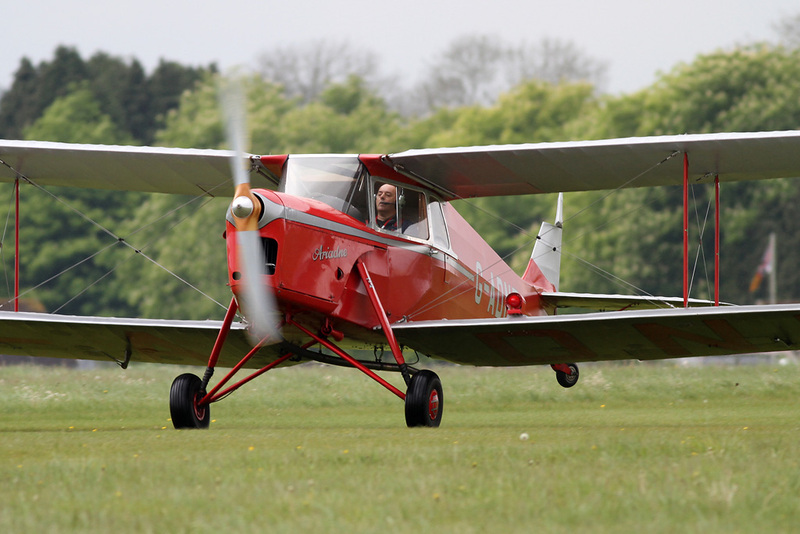 An event as good as Great Vintage Flying Weekend deserved better. 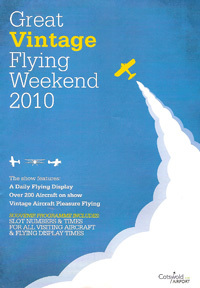 2010 saw the second edition of the newly re-styled Great Vintage Flying Weekend, one of the largest fly-in events in the UK. 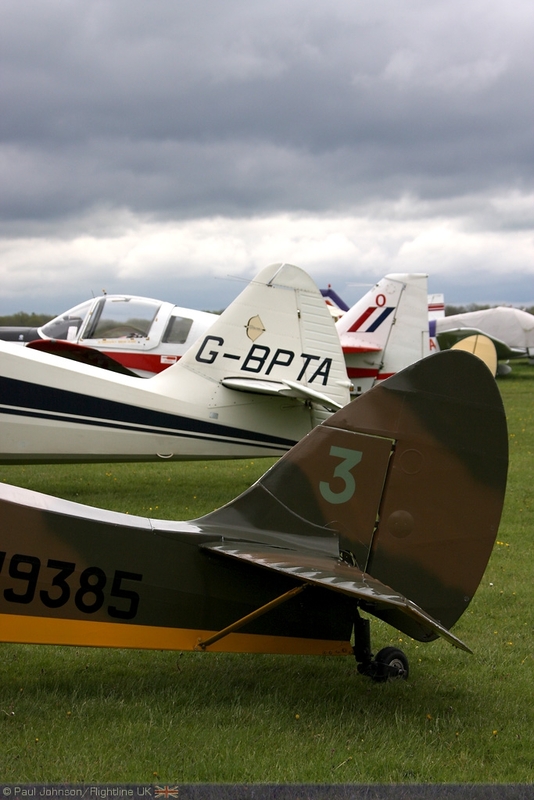 Cotswold Airport's events team took over the event in 2009 and gave it a permanent home and added a small flying display to entice visitors. 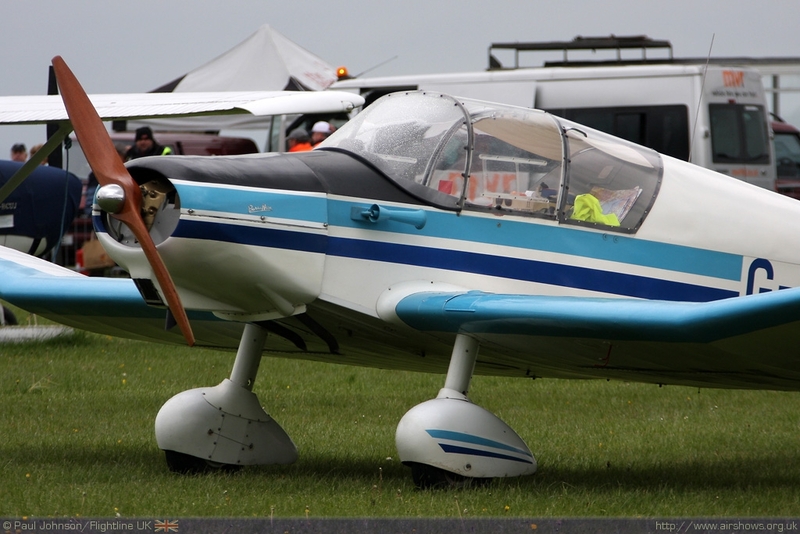 Paul Johnson/Flightline UK reports from the first day of the event. All photography copyright of the Author. Wind and rain are never a good sign for vintage aircraft operators. The lighter, more fragile aircraft are more susceptable to accidents in strong winds and rain can ruin propellors, even metal ones all too easily. 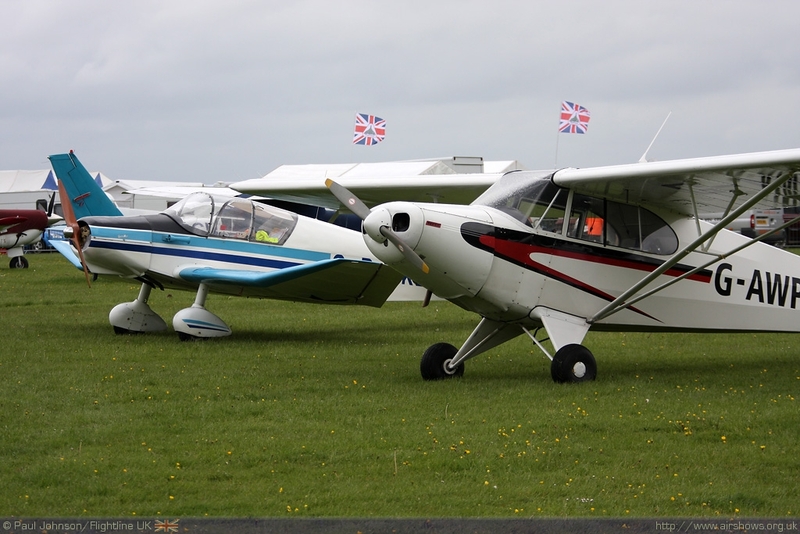 Saturdays combination of both, plus winter like temperatures, made many pilots and spectators think twice about trying to ghet through to Kemble; it's always better to on the ground wishing you're are in the air rather being in the air wishing you were on the ground! That lead to a slightly depleated looking Kemble. Nothing vintage had arrived by mid morning when conditions slowly started to improve and it soon became obvious that only very few would make from the relatively local airfields. 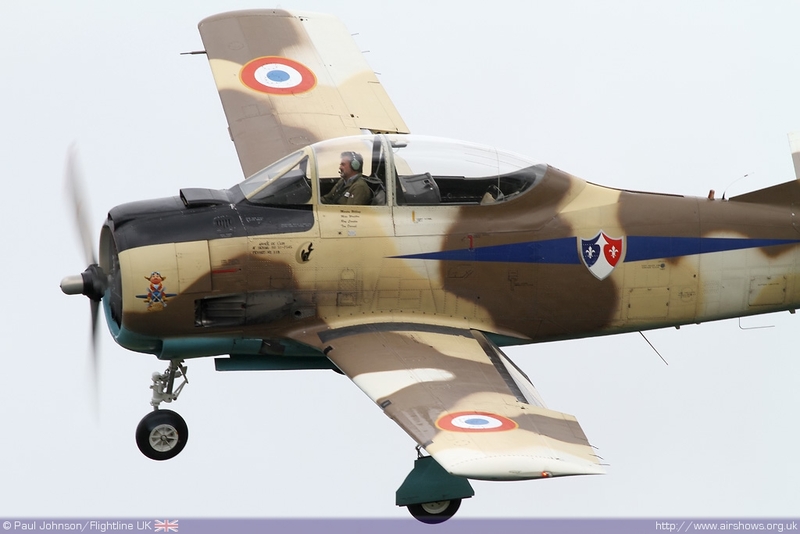 It was a great shame, as demand for slots in the run-up to the event had out-stripped availability which is a sign of the high regard this event has in vinatge aircraft circles. 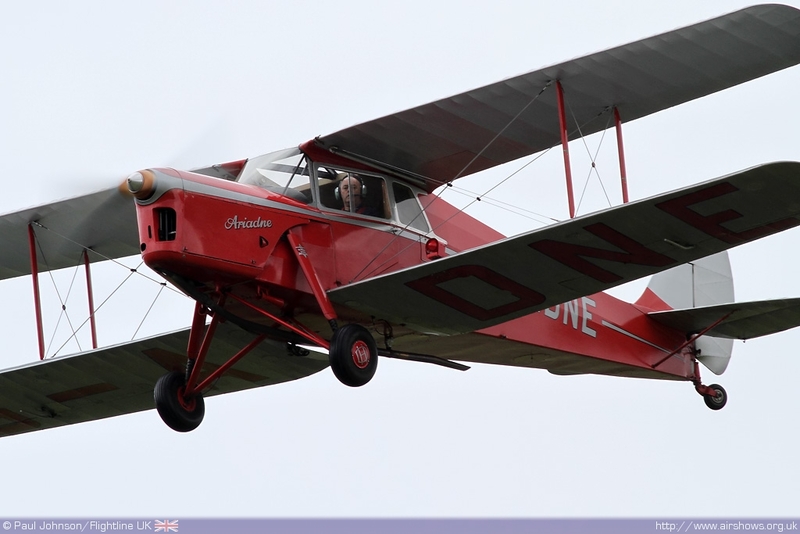 The first true vintage arrival of the day was the ex-Shuttleworth Collection De Havilland Hornet Moth which came in from nearby Hullavington dodging the showers and low cloud. 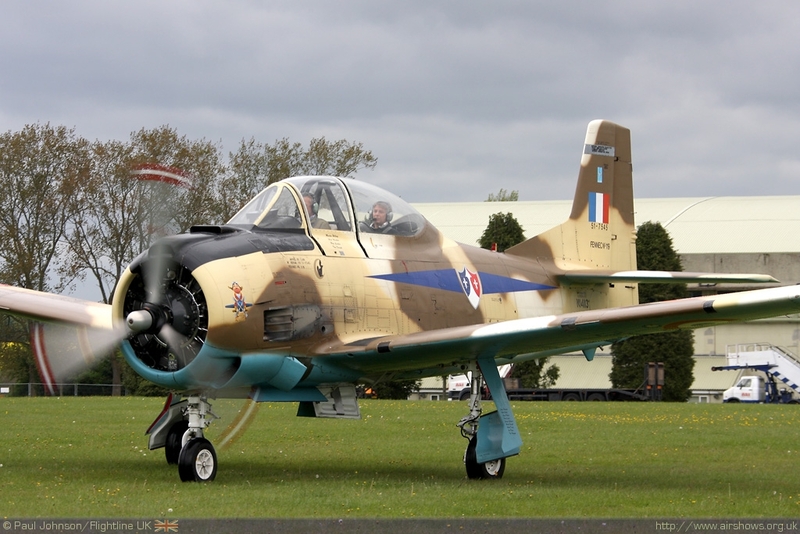 It was soon follwoing by the more rugged Scottish Aviation Bulldog and small gaggle of other types including a Stinson 108, Jodel, Issacs Fury in civilian markings, Piper PA-12 Super Crusier and a Piper Cub. The flying display was also badly affected with inly two of the original acts available out of the planned six for Saturday. 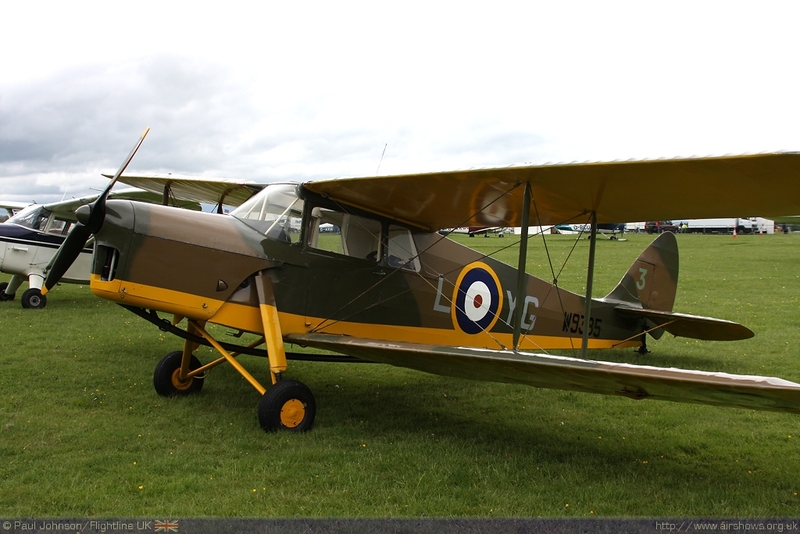 Opening the show was John MacMillan in another Hornet Moth, G-ADNE otherwise known as "Ariadne" based at Oaksey. This particular Hornet Moth has made some epic trips in it's life and is a fairly regular item in flying displays at places like Old Warden. 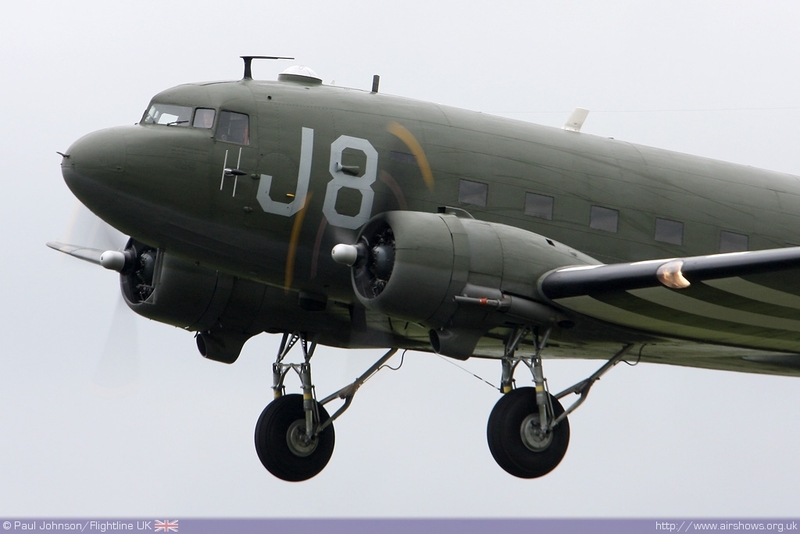 Following on was a Kemble resident, Douglas C-47 Dakota N1944A belonging to Wings Venture and flown by Andy Davenport. 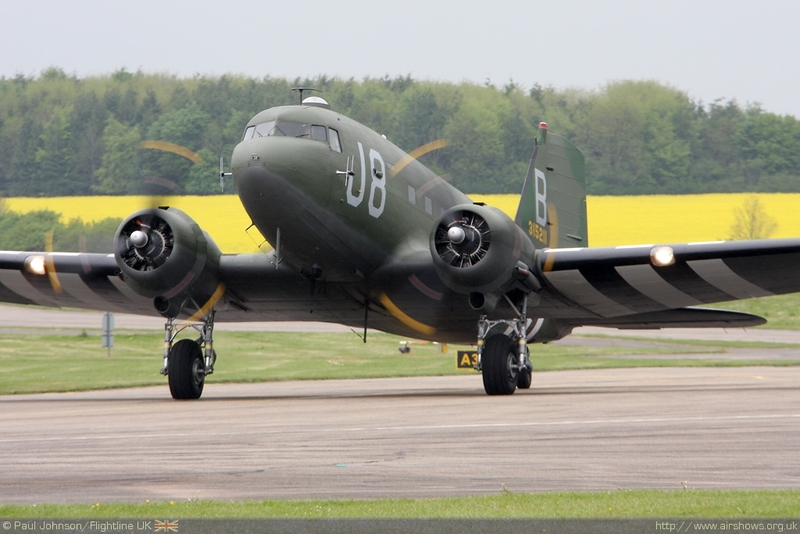 This particular aircraft has strong links with Kemble and is a true war hero. 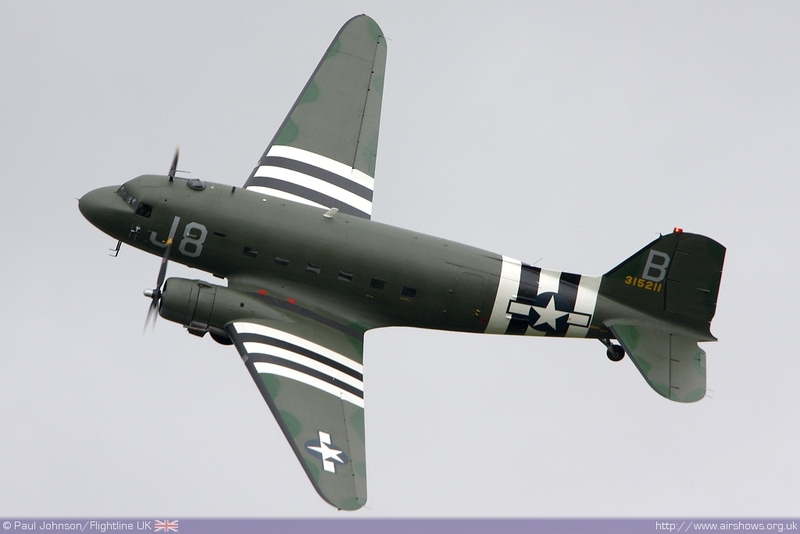 This actual aircraft flew re-supply missions from Kemble to Belgium and France between September and December 1944. 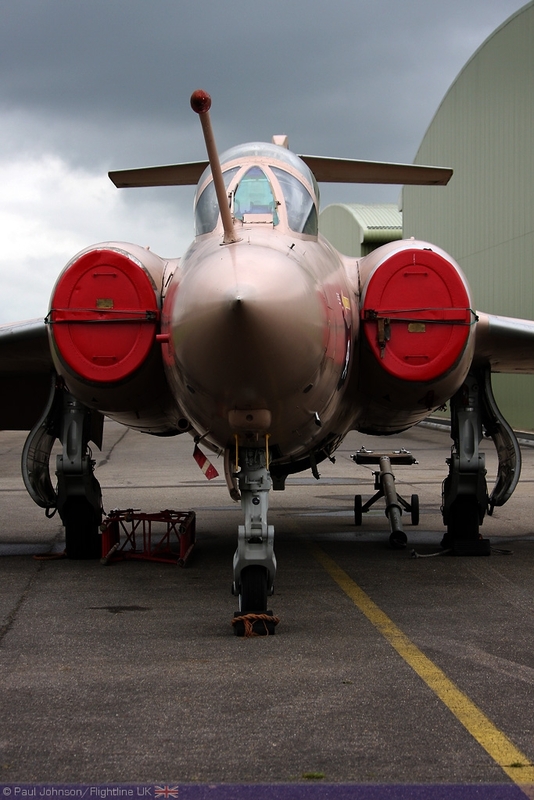 It is part of a expanding collection at Kemble which and will be seen much more regularly as part of airshows. 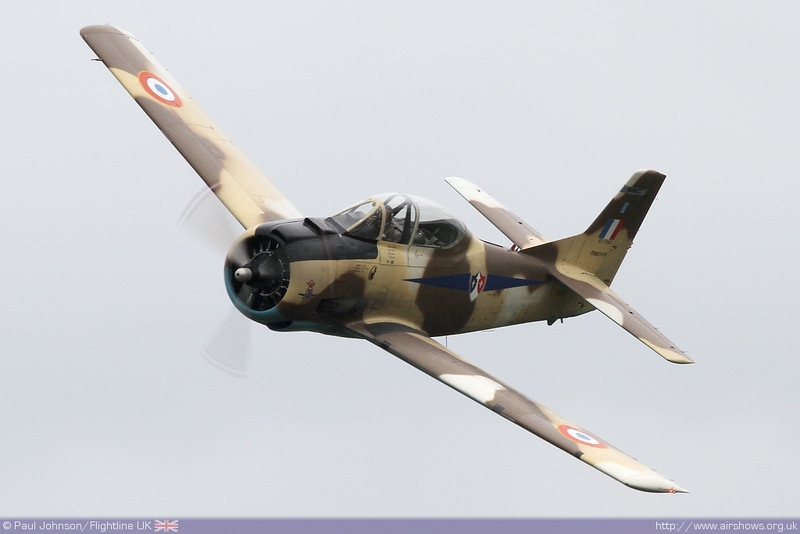 Providing a finale to the very short flying displays was a last minute addition, Radial Revelation's T-28S Fennec flown by Ray Corstin. 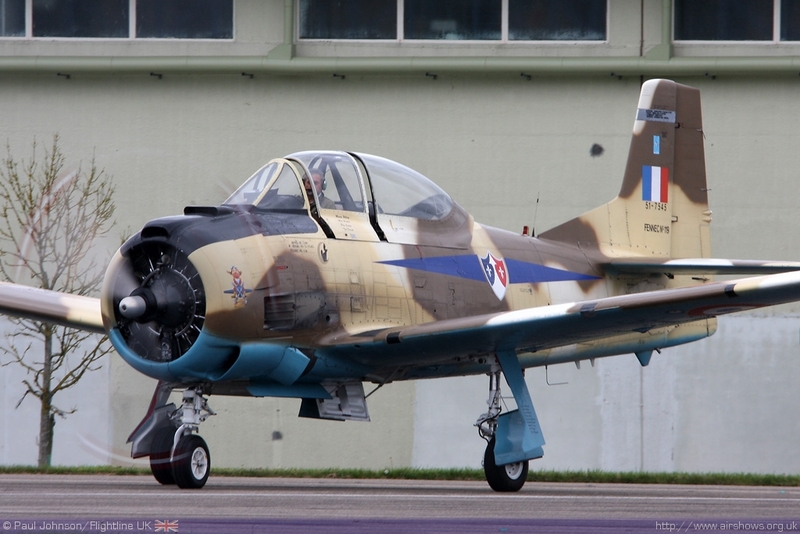 The aircraft was due to attend purely as part of the fly-in, but was drafted into the flying display at the last minute. It certainly was a highlight of the afternoon making some impressive and powerful passes for the small, but appreciative audience that hung on to watch the displays. 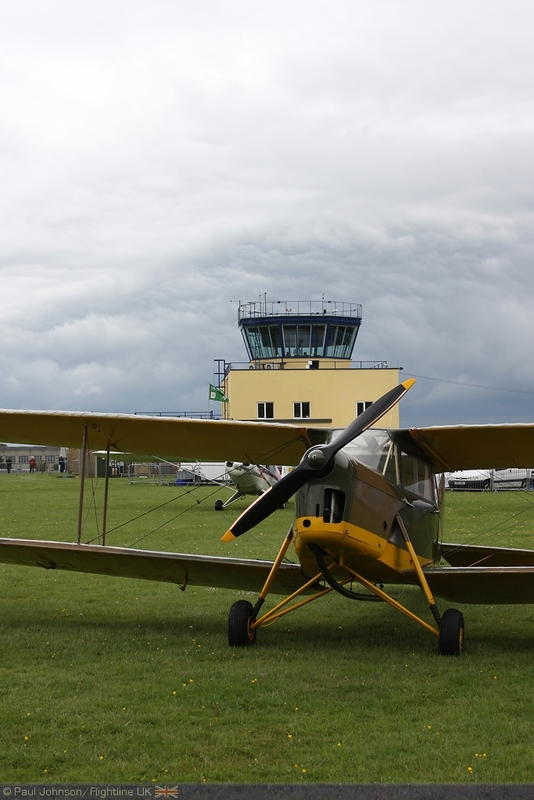 Cotswold Airport always put on professional and enjoyable events whatever the weather. It may have been a much shorter truncated day but was still enjoyable and Sunday saw much better conditions and a better turn out for both the fly-in and static displays. 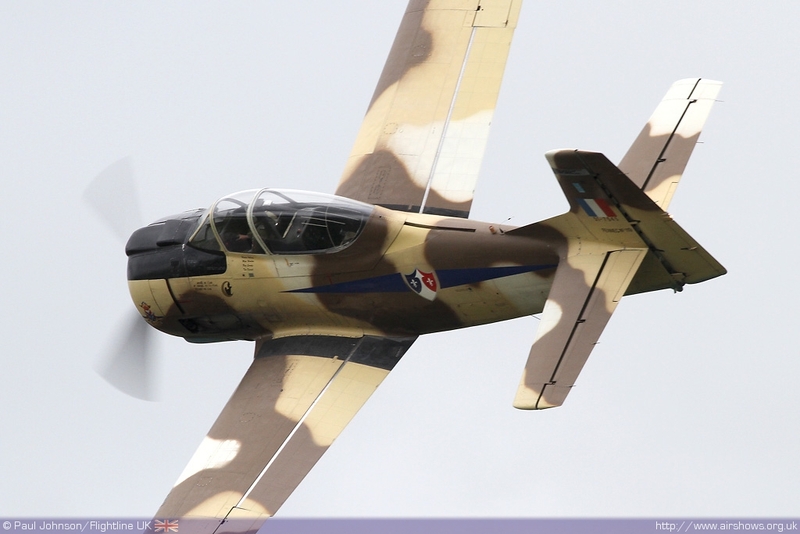 We're already looking forward too the main June Airshow!